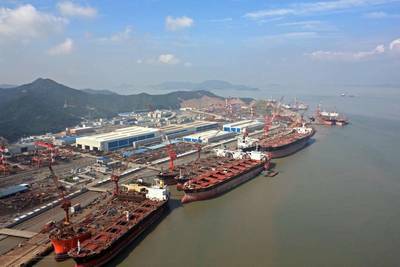 Sinotrans Shipping have signed contracts for two firm 78,000 DWT Panamax at Jiangnan Shipyard. This order is understood by Clarkson Hellas to have been under discussion for some time, and commits two remaining slots within end 2015 basis the yard’s existing Panamax design. 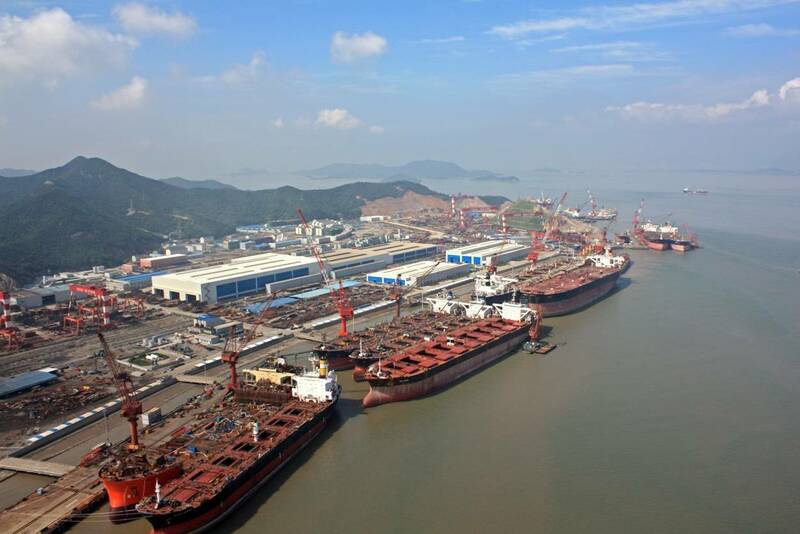 It has also been reported that the same owner has ordered four firm 64,000 DWT Ultramax at Chengxi Shipyard for delivery within 2016, with the deal having been concluded just prior to the Lunar New Year. At Qingshan Shipyard, Atlantska Plovidba have converted their two options for Handysize bulkers into two firm 63,800 DWT Ultramax, with an additional two options. The firm units are due to deliver in 2016, with options in 2017. A number of declared options to report at Sungdong the past week, starting with Maersk adding two further vessels to their series of 50,000 DWT MR product tankers. This takes the total order to six with the latest two due to deliver in 2017. It has come to light that both Breakwater Capital and Horizon Tankers have both declared two options for 50,000 DWT MRs. Although understood to have been declared some time ago, this takes each series to six and four vessels respectively. The four most recent vessels are due to deliver within the first half of 2016. A single order in the gas market is reported in the Clarkson Hellas S+P Weekly Bulletin, with SCF Group contracting one 170,000 CBM LNG carrier at DSME. The vessel, which will be built to ice class ARC7, is due to be delivered in the early part of 2016. Similarly just one order to report in the container market, although at the other end of the scale in terms of size; Japanese operator Imoto Lines has ordered a single 540 TEU feeder vessel at Kyokuyo, due for delivery in 2016. Also in Japan, K-Line has placed orders for two firm 7,500 unit car carriers at both JMU and Shin Kurushima, due for delivery in 2016 and 2017. Finally, report Clarkson Hellas, in other sectors Star Cruises have ordered a single 150,000 GT Cruise Ship at Meyer Werft, due to deliver in the last quarter of 2017.